Spanish full-back Alberto Moreno capped a rapid ascent to the heights of European football and strengthened Brendan Rodgers' options in defence by becoming Liverpool's eighth signing of the summer in August 2014. 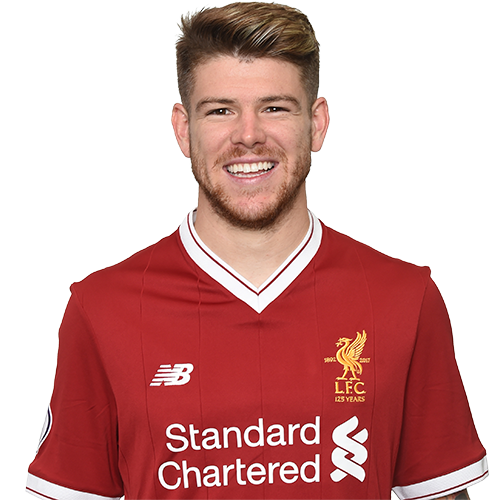 Moreno was born in Seville on July 5, 1992 and took the fledgling steps of his professional football career with Sevilla, a club renowned for providing regular opportunities to young players and allowing natural talent to flourish in La Liga. The full-back's international experience was enhanced in the summer of 2013, playing four matches - including the final against Fabio Borini's Italy - as Spain cantered to the European U21 Championship title in Israel. It was in continental competition where Sevilla particularly thrived, however; Maribor, Real Betis, Porto and Valencia were successively seen off in the Europa League knockout stages to set up a final clash with new teammate Lazar Markovic's Benfica. The latter was not involved in the showpiece due to suspension, but Moreno was - he battled for the entire 120 minutes in Turin and ultimately hoisted aloft the trophy when his team were crowned winners after a penalty shootout. He therefore remained on three senior international caps, having made his debut at that level by playing the entirety of a qualifier against Georgia in October 2013 that was won 2-0. Another man who had been tracking Moreno's progression was Rodgers, who finally captured the left-back shortly ahead of the 2014-15 season kicking off, adding another highly talented player to develop in his burgeoning Liverpool squad.